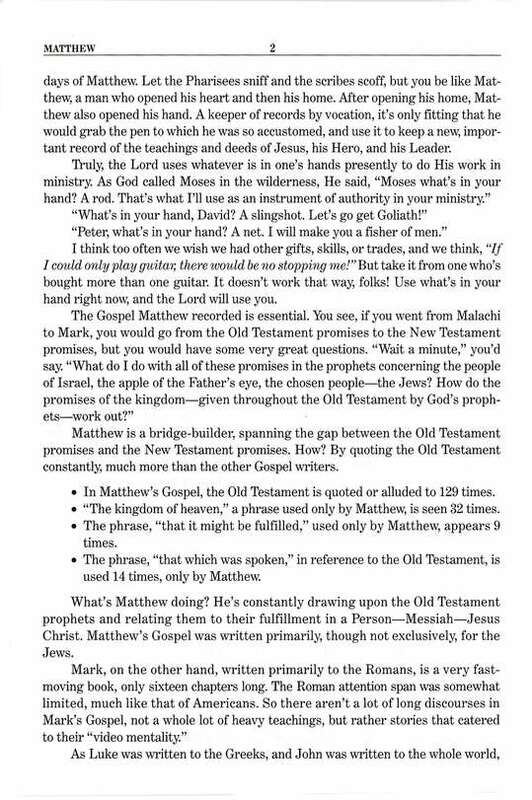 There are many commentaries on the Bible. Even though most are expositional, or exegetical, they often seek to be so exacting with the letter of the law or the possible meaning of a particular word that they lack life and inspiration. It is hard to find a good devotional commentary on the Bible, one that brings both understanding and life to the passage, so that you are inspired to worship the Lord as you gain new insights into the truth of His love and grace toward us. This commentary does just that, combining a verse-by-verse teaching of every paragraph of New Testament Scripture with practical topical studies throughout. Jon Courson founded the Applegate Christian Fellowship in Southern Oregon, a fellowship of over 7,000. He has also pastored with Chuck Smith at the 25,000-member Calvary Chapel in Costa Mesa, California. Jon's ministry includes pastoring, writing, preaching, teaching, mentoring, and the Searchlight radio ministry, heard around the world. 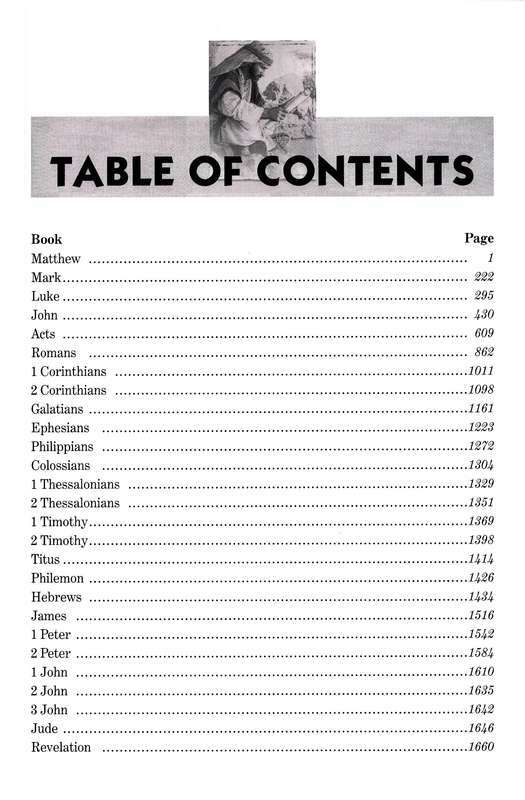 179 topical studies/sermons throughout, each with colorful background information and illustrations. Reveals the Person of Jesus in every Book. 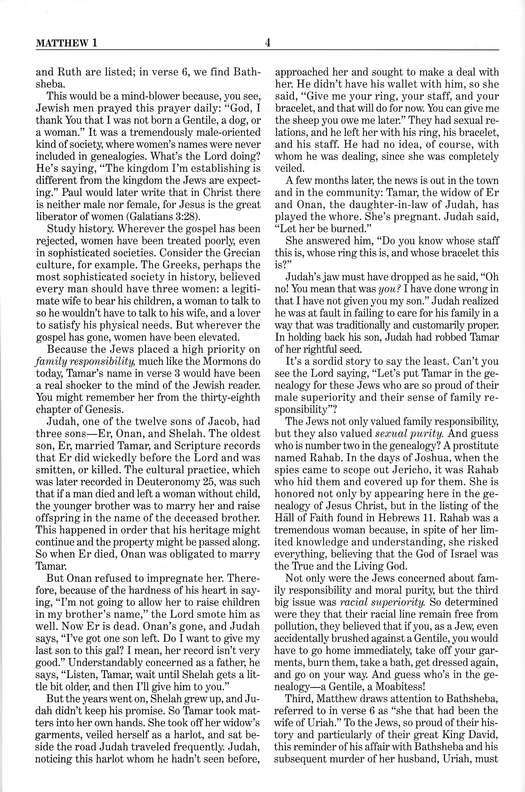 I have heard, read and studied diligently under pastor Jon for two decades and of all the expository Bible teachers I have heard teach the WORD, Jon has a profound way of simply stating the truths of the gospel and his style is so understandable that all of the non-native English speakers I have introduced to his teachings are easily able to understand them. I believe Jon is anointed by the Holy Spirit and can make anyone hungry for more! Gives a good down to earth interpretation. 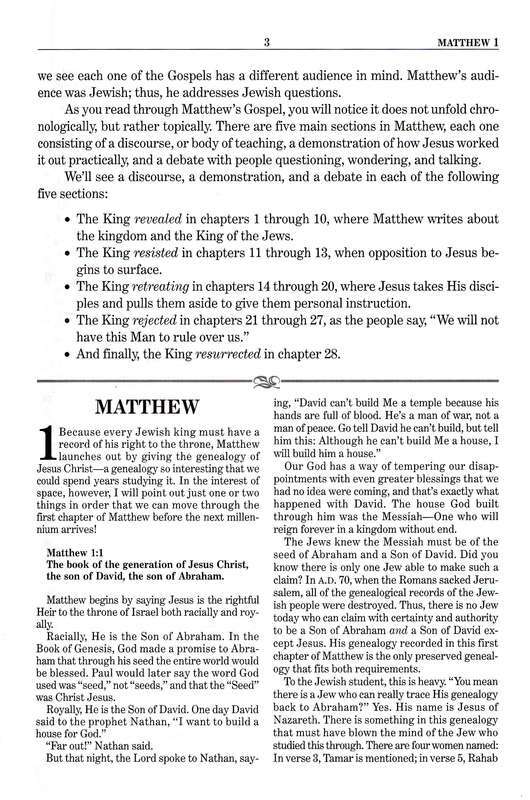 I have been a student of Bible prophecy for nearly two decades and have read most of what I consider to be well studied and grounded commentaries and Jon Courson's Revelation commentary makes the whole New Testament commentary worth the read he also has a lot of great insights on the synoptic gospels as well as the rest of the new testament. Worth so much more and $20!!! Provides good, clear, up-to-date exegesis suitable for the lay person, but insightful enough for Pastors or Teachers. I have used this commentary since it came out in 2003. Its an awesome resource. I have always enjoyed Jon's teachings and his commentary is like sitting down at his fellowship and listening to him live. I trust his walk with the Lord and know that he is a man whose love for the Lord has been tried and tested. As I study and read there are many times that I just stop, sit back, shake my head and think "This is so simply profound, yet so profoundly simple." I do believe that you will enjoy this reading and find it helpful as a study tool. 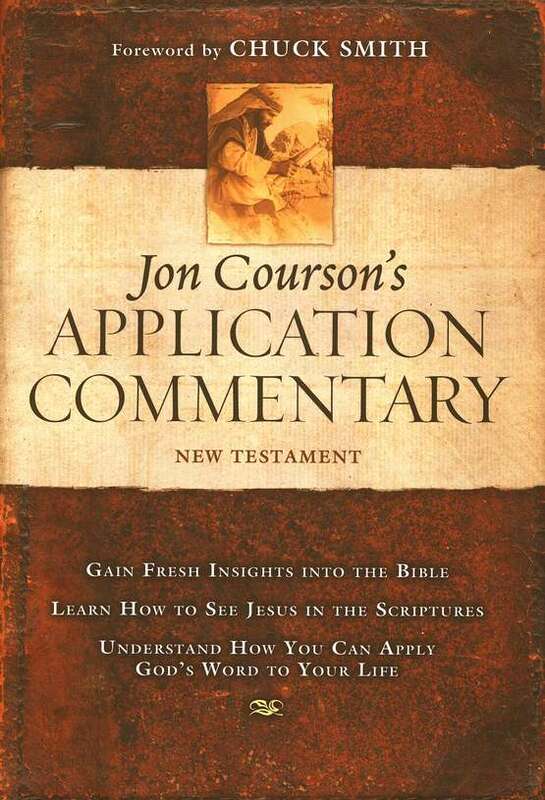 The Courson's Application Commentary is a must have for any library. We have it in hard bound and I had to get it for the PC on e-Sword. Jon Courson's study and insights are great. Just started using this commentary but so far it has been very nice to have as a compliment to my ESV Bible. 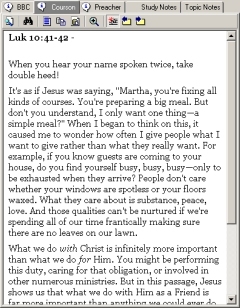 There are some parts of Scripture I would like a little more explanation but overall it's been very helpful. 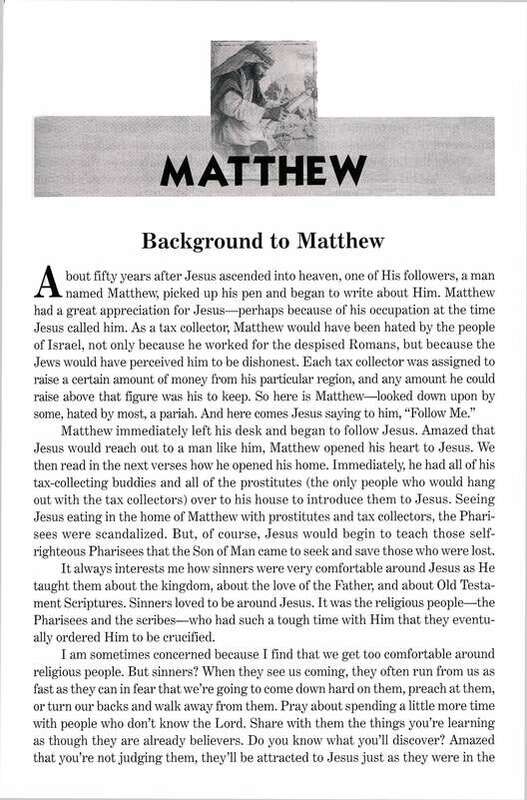 Many Christians have never heard of John Courson, but my wife and I stumbled upon his O.T. and N.T. commentaries about 5 years ago which has resulted in both of us using them as one of our main resources. He has also incorporated many exceptional topical studies which have been of great value. It's great to have his new testament commentary downloaded into e-Sword and we hope that his old testament commentary will become available also. When it comes to Biblical commentaries, sometimes we tend to forget that “head-knowledge” doesn’t equal “heart transformation.” With Jon Courson's New Testament Commentary, it brings application to life while adding sound Biblical knowledge. In our studies, it’s important that we remember being a well of knowledge isn’t what makes us loving and effective Christians it’s obedience to Gods Word. Jon Courson's commentary gives us vivid descriptions and life examples of how it is to really walk with God. If you are looking to take your walk with the Lord Jesus Christ to the next level, let Gods Word coupled with this application commentary change you and God will bless your walk abundantly. 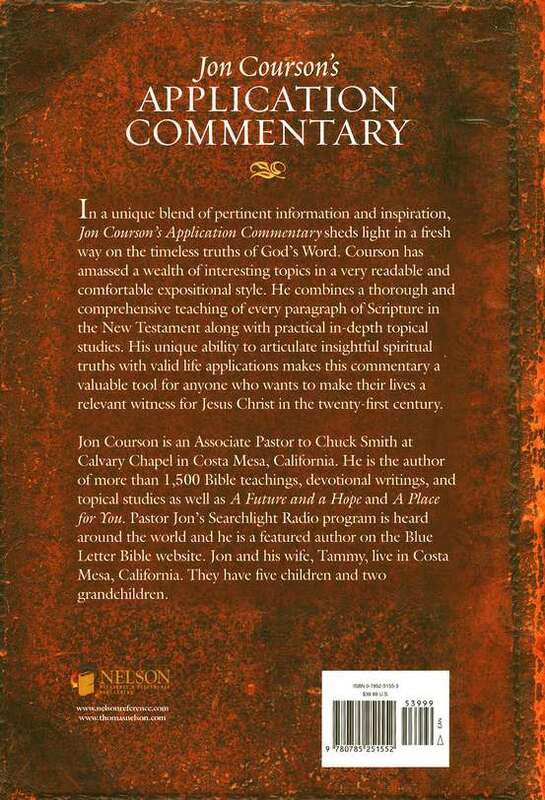 Without a doubt we need more Biblical teachers teaching application, Jon Courson has done a great job. I hope to see the first two volumes from his Old Testament Commentaries added soon. It’s well worth the value, not to mention, if you have an iPad you can walk around with a Biblical library with e-Sword and eStudySource. 5 Stars! Jon gives new and fresh insight on scripture. I love the old commentaries but it is good to have a fresh modern view to glean from. Being a missionary in Mexico and needing an excellent study as well as teaching resource, this e-source is exactly what I need. The verse by verse teachings along with definitions and references from both the old and new testaments is great for my personal needs and my needs as a teacher of the scriptures. I have personally studied under Jon Cousron for more than a decade and for sound biblical doctrine there's nothing better! I was highly recommend this tool to anyone who is looking to go deeper in their walk with the LORD! Just to say that since most of e-sword helpful & enabling provisions appear to be reformed in theology, it encourages & helps those of us of a charismatic theology to be further blessed by the availability of a balanced interpretation of scripture. Indeed, I would suggest that it blesses all users & look forward to more such contributions for both NT & OT. It might even increase e-sword adoption? Courson's Commentary is a refreshing take on the New Testament Scriptures and will be a benefit to readers and students for years to come. Only a single element prevented it from being awarded 5 stars, it is light on text (volume of words) on some occasions. 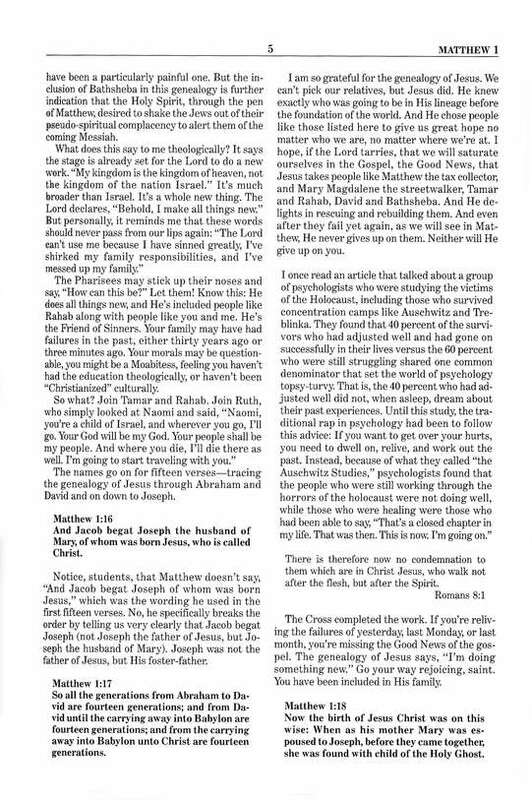 e-Sword does get 5 stars for flawlessly stitching it to the existing program of Bible versions. Great help that the commentary is brought to the reader in a clear common sense way. Very easy to read and understand. I also have the courson commentary on the old testament in print. Wish it was avaiable as an e-sword download! Well worth the price.